Women are now increasingly either taking up boxing competitively or just for fitness, therefore it’s important to have a good pair of boxing gloves. 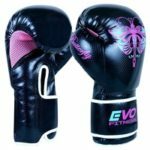 Most boxing gloves which may appear to be designed for men are actually suitable for both men and women, women will just generally choose a smaller size. 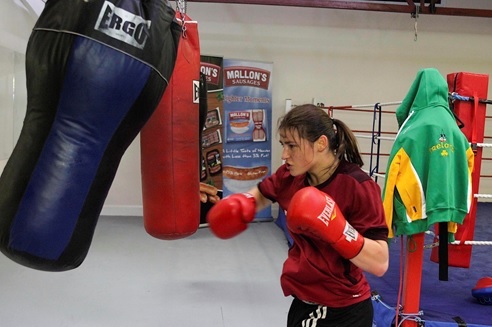 There are some women’s boxing gloves which are specifically designed for women, where the inside of the glove may be smaller as women tend to have smaller hands than men. 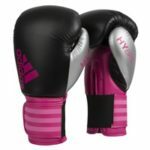 There are also some manufacturers that will make the exact same glove of the “mens” version but change the colour to pink and label it as women’s boxing gloves. 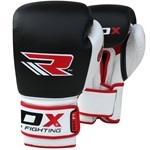 Most boxing gloves colours are neutral so if you were under the impression that most boxing gloves are designed for men, you’re limiting yourself to what boxing gloves you can choose, for more options check out our best boxing gloves. When training you should always wear hand wraps, so you have to remember this will take up some room inside the glove. If you don’t know how to wrap your hands or you think you might be doing it wrong then check out our video, which will guide you step by step. Women should be using hand wraps that are 4.5 metres long unless you have small hands you’ll probably get away with using 2.7 metre (108 inches) hand wraps. 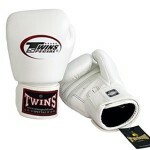 You can check out our best hand wraps for boxing. Women do generally wear smaller/lighter boxing gloves than men as the average women is smaller than the average man. You’ll probably find that most size charts from manufacturers are different from one another which can be confusing. If you are unsure what size gloves to choose then it might be safer option to choose the heavier gloves of the two. You’re a little bit limited on choice if you’re specifically looking for the best women’s gloves specifically designed for females. This shouldn’t be much of an issue if you have slightly bigger than average hands, as you can get away with men’s boxing gloves. If anything, it might even be a better fit! However, if you do have smaller hands then many of the female boxing gloves start at either 6 or 8 ounces. Furthermore, many of the men’s gloves also start at 8 ounces, so that’s also an option if you’re not keen on the women’s styles or designs. 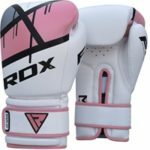 You might be unfamiliar with some of the features shown in the table of our women’s boxing gloves, this has already been explained on our page for the best men’s boxing gloves.